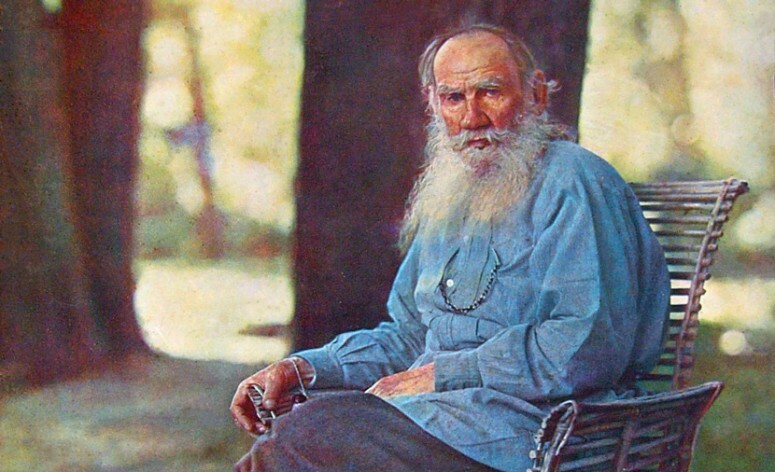 This issue of the Offline Newsletter is brought to you by Leo Tolstoy. Several learned men came to the King, but they all answered his questions differently (e.g. advance planning, multi-tasking, mentoring, high-ranking people, science, warfare, religion). The hermit lived in a wood which he never quitted. When the King approached, the hermit was digging the ground in front of his hut. Seeing the King, he greeted him and went on digging. The King turned round, and saw a bearded man come running out of the wood. The man held his hands pressed against his stomach, and blood was flowing from under them. When he reached the King, he fell fainting on the ground moaning feebly. The King and the hermit unfastened the man’s clothing. There was a large wound in his stomach. The King washed it as best he could, and bandaged it with his handkerchief and with a towel the hermit had. But the blood would not stop flowing, and the King again and again removed the bandage soaked with warm blood, and washed and rebandaged the wound. When at last the blood ceased flowing, the man revived and asked for something to drink. The King brought fresh water and gave it to him. Meanwhile the sun had set, and it had become cool. So the King, with the hermit’s help, carried the wounded man into the hut and laid him on the bed. Lying on the bed the man closed his eyes and was quiet; but the King was so tired with his walk and with the work he had done, that he crouched down on the threshold, and also fell asleep—so soundly that he slept all through the short summer night. When he awoke in the morning, it was long before he could remember where he was, or who was the strange bearded man lying on the bed and gazing intently at him with shining eyes. “Do you not see,” replied the hermit. “If you had not pitied my weakness yesterday, and had not dug those beds for me, but had gone your way, that man would have attacked you, and you would have repented of not having stayed with me. So the most important time was when you were digging the beds; and I was the most important man; and to do me good was your most important business. Afterwards when that man ran to us, the most important time was when you were attending to him, for if you had not bound up his wounds he would have died without having made peace with you. So he was the most important man, and what you did for him was your most important business.